T-Mobile is kicking off a new promotion that will let family plan subscribers score a free Samsung smartphone. The free phones are tied to specific service plans. Families who subscribe to T-Mobile's 6 GB Simple Choice plan pay $30 per month per line for service and can receive a free Samsung Galaxy On5 smartphone ($140 value). The $30 cost is applied to the first four members of the family, with additional lines costing $20 each per month. Similarly, families who subscribe to T-Mobile's 10 GB Simple Choice plan pay $40 per month per line for service and can receive a free Samsung Galaxy J7 smartphone ($240 value). The $40 cost is applied to the first four members of the family, with additional lines costing $30 each per month. In both cases, families can get up to 12 free phones. The price of the free phone is covered via monthly service credits over a period of two years. Once the two-year period is over, the customer owns the phone outright. Customers who cancel service before the two-year period is over will be responsible for the balance of the phone's cost. T-Mobile's back-to-school promotion begins July 13. MetroPCS recently added the LG K10 and the Samsung Galaxy J7 (pictured) to its roster of low-cost Android smartphones. K10: The K10 relies on LG's older design language and features rear-mounted volume controls. It has a 5.3-inch HD screen with 2.5D arc glass, a 1.27 GHz quad-core processor, 8-megapixel main camera, and 5-megapixel selfie camera with flash. The K10 has 16 GB of storage and ships with a 2,200mAh battery. It runs Android 6.0 Marshmallow and costs $160, but MetroPCS is selling the LG K10 for $99 after rebates. 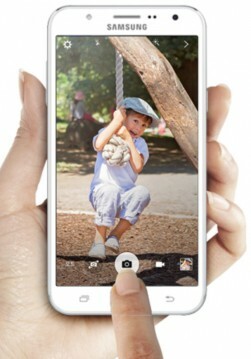 Galaxy J7: The J7 is a mid-range phone that resembles many of Samsung's inexpensive handsets. The J7 has a 5.5-inch HD screen, 1.5 GHz octa-core processor, 13-megapixel main camera, and 5-megapixel selfie camera — both with an LED flash. The J7 offers 16 GB of storage and ships with a 3,000mAh battery. It also runs Android 6.0 Marshmallow. MetroPCS is selling the Galaxy J7 for $180 after a $50 rebate.